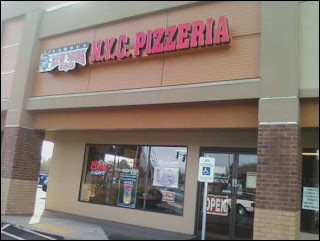 NYC Pizzeria is located on SE Chkalov Drive in Vancouver, Washington, not far off Mill Plain Blvd. The Singhs run this locally owned establishment that aims to bring New York-style stone-baked pizza to the Pacific Northwest. I walked in on a Monday to check this place out. A number of tables are available to sit at, and they run a few lunch specials each day. You can get pizza slices, trips to the salad bar, and a drink. Depending on your choice, it's probably gonna be around five to seven bucks if you go that route. 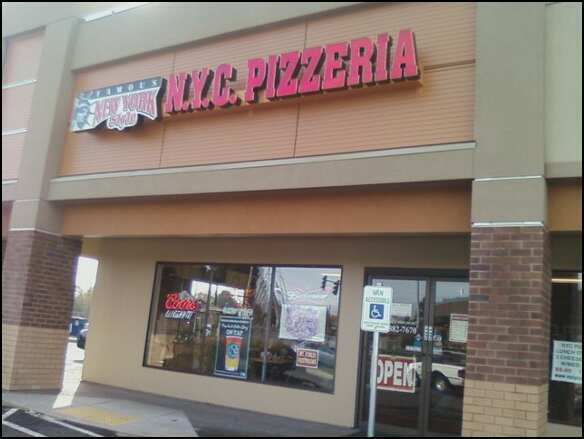 There are meat and non-meat specialty pizzas. Some are familiar combinations, but there are a few Indian-inspired pies that intrigue me (that'd be the country, just FYI). The "Punjabi Special" uses tandoori chicken, fresh hot peppers, and cilantro, among other ingredients. Its vegetarian counterpart merely omits the chicken. The vegetarian "Kamal's Special" includes chana masala and marinated garbanzo beans with curry spices. NYC Pizzeria has four thin-crusted sizes (from the 10" small to the 18" giant) and a Sicilian-style crust. Prices usually range from $11 for a small and up to $27 for a giant. Gluten-free crusts are also available here, probably for a few bucks more. NYC Pizzeria also sells pizza by the slice, which I'd probably call normal slices of pizza from their 18-inch "giant" size pie. Cheese runs for about $2.25, with each topping 50 cents more (up to two toppings). While the place may be a pizzeria, I first heard about this place for its gyros ($6.75). Since I tend to go on gyro benders, that's what my first meal here was. A generous portion of sliced lamb meat inside a thick pita, with lettuce, tomato, onion, and gyro sauce (tzatziki). NYC Pizzeria definitely lived up to the hype here. Delicious, juicy meat. Fresh veggies. A healthy dose of gyro sauce. 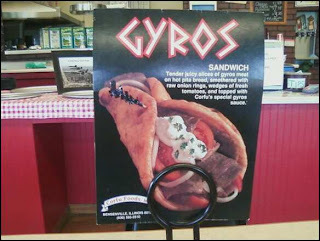 I didn't see an option to add feta cheese to the gyro, but it looks like feta is on the available pizza toppings menu. Couldn't hurt to ask next time. 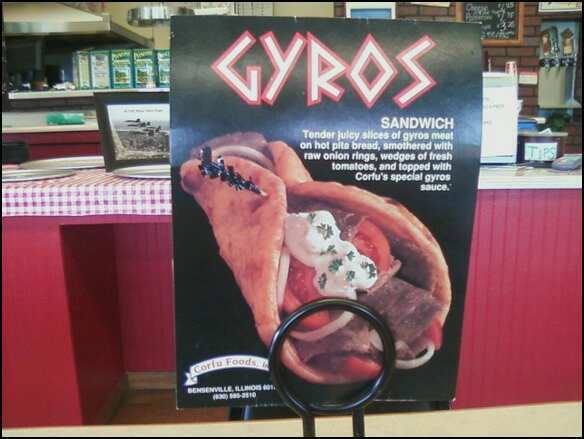 In fact, I actually wonder if you can get the gyro meat on a pizza. Now that would be epic. 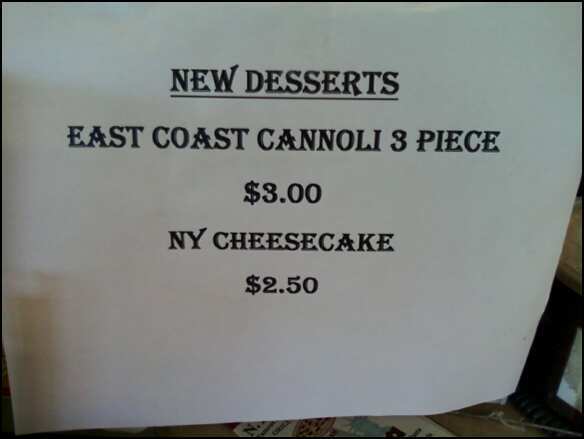 NYC Pizzeria has your usual Italian-inspired hot sandwiches, such as the meatball parmesan, sausage parmesan, and chicken parmesan (each $7). NYC Garlic Knots are $2.50 for six (with marinara included). Spinach pie is $3.75. Hell, these guys do calzones and stromboli ($8.50). The stromboli has mozzarella, mustard, salami, Canadian bacon, and Italian sausage. Yes, please. Allow 20 minutes for these. The panda ate his dessert for sure. A slice of New York cheesecake is $2.50, but I went with the cannoli. Three small ones for $3. Great job on the sweet, creamy ricotta filling, and the cold, tube-shaped shell had a lovely slight crunch.